In my corner of the world Daylight Savings Time has just begun, marking the near start of spring. I love the resulting longer hours of sun in the afternoon – more time to spend outdoors digging in dirt to plant flowers. Kids and adults alike “dig” digging in every season, don’t you think? In the spring, we dig to plant vegetables as well as flowers; in the summer heat, there’s digging in sand; in the fall gardeners dig to plant bulbs for the next spring; winter snow makes for digging out, at least for many. Digging with my hands yesterday got me thinking about the awesome tools that our hands are – all of our hands – adults and children in every nation. Digging plants seeds and builds foundations, and those thoughts of hands at work made me remember a visit last fall with a special group of first graders. Look at the row of beautiful trees in my blog pic here and you’ll see a show of hands. This is easy-to-make art work, perfect for students in early grades. 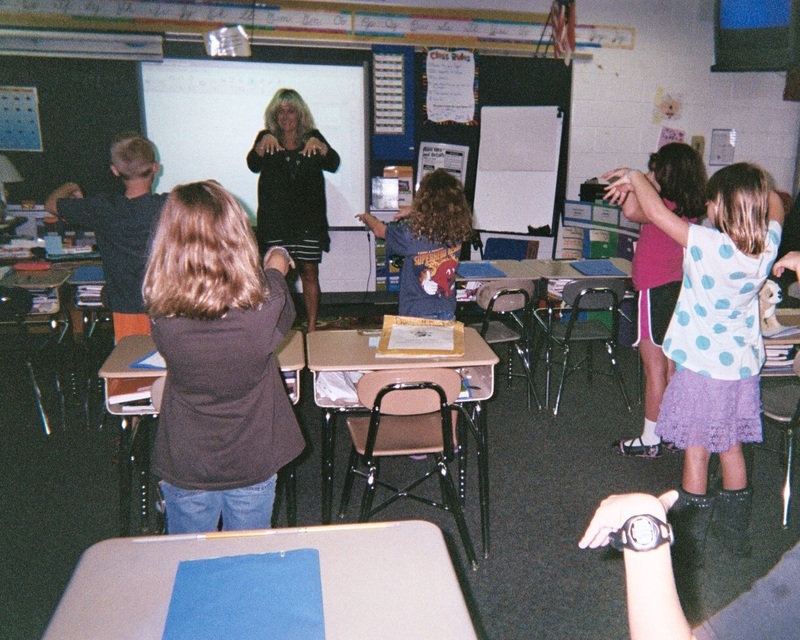 Start the activity by inviting your class to raise their hands high with their fingers spread wide apart. Ask them to note how their hands look like the branches of a tree. Pass out large sheets of construction paper and instruct the kids to place one hand towards the top of the sheet and trace around their hand with a crayon or marker. 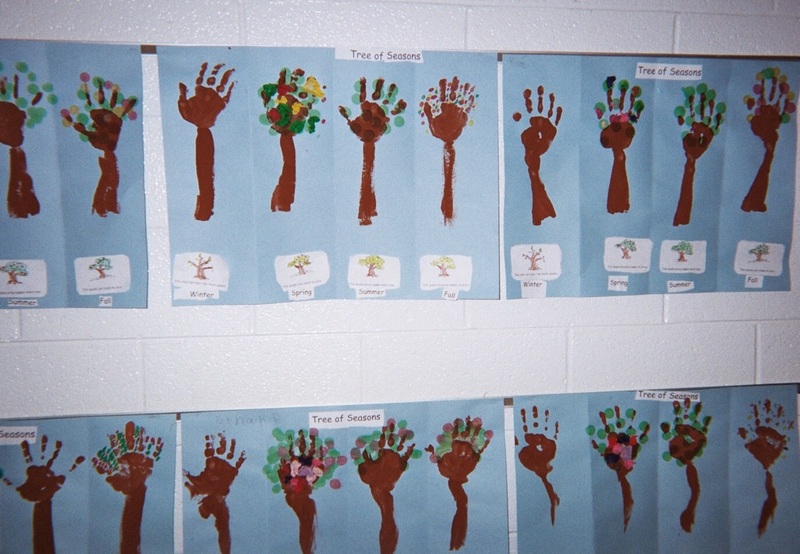 NOTE: The teacher whose bulletin board is shown above had the kids dip their hands in poster paint and print the treetops – another option for you. Pass out brown paper and have students cut long tree trunks to glue below the handmade branches. Invite kids to choose which season they want their trees to be in and give them art supplies that they can cut and glue to the branches to suit their chosen seasons. Post the finished Trees of Seasons on a bulletin board with a header. Optional: Use the “visual feast” as a prompt for a writing activity related to trees and/or seasons. Look at the teacher in my blog pic here. She’s engaging the class in an attention-getting HANDS-on activity that helps kids explore the amazing tools that hands are. The teacher and students are acting out the process of digging. This activity is leading into a discussion about the many ways we use our hands. Think of it! The curriculum connections between hands at work and subjects in elementary education are endless and wonderful. STRONG HANDS DO GOOD WORK! Are there any hands busier than those of a teacher? 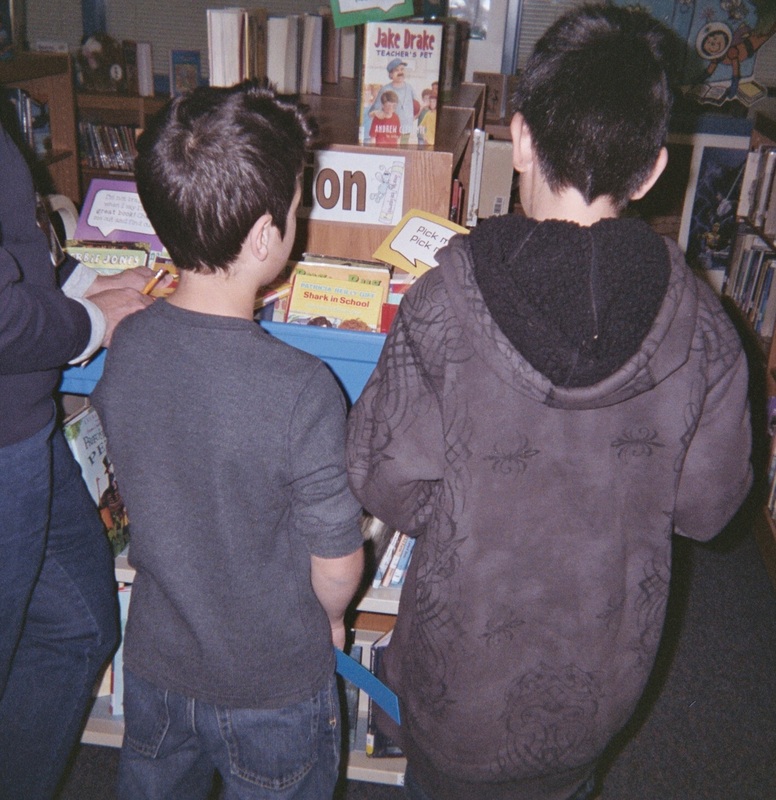 Look at the teacher in my blog pic here, helping her students find books in the school library. Have you and your students ever talked about the power of hands? Throughout history, strong hands have created communities, cared for people, animals and the land itself, carved spectacular works of art, crafted communication devices…the list goes on and on. Teachers and parents know, too, that one of the best things that hands can do with arms extended is give hugs. No doubt about it…hugging always catches and keeps attention!